This lightweight plant pot is classically modern. Made of dark grey plastic with a lovely matt finish, it is 41cm tall with an outer diameter of 35cm. This is a great cover pot for indoor plants. 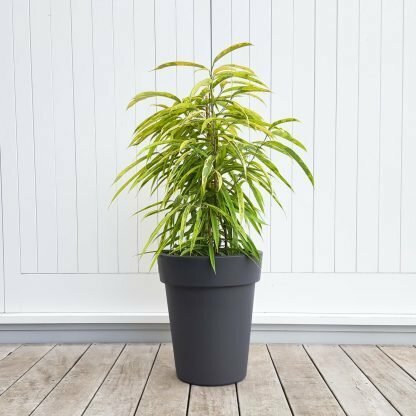 It has no drainage holes so simply leave your plant in its existing nursery pot and place it inside the cover pot (with a few pebbles, or similar, to prop it to the right height). If you’d prefer to use this pot outdoors, simply drill your own drainage holes.